Leverage can make a huge difference when practicing yoga postures. The ropes wall and chairs provide a great source of leverage. Lessen the learning curve with these great props – both tools will help you to find the support you need to find the balance between ease and effort. Each tool helps to address tension and muscular restriction in the back, chest, shoulders, abdomen, groins and hip flexors as well as a great way to develop core stability and spinal traction. Plus, it’s FUN! Yoga Wheels will likely be included in the mix too. 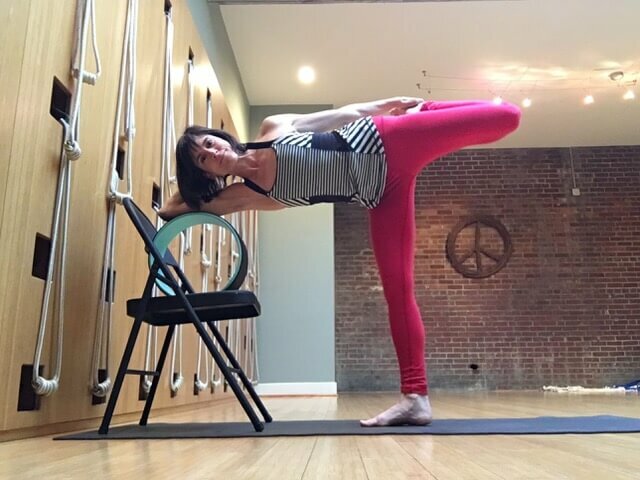 Jen is an Experienced Registered Yoga Teacher – E-RYT 200 and a qualified Continuing Education Provider with Yoga Alliance – YACEP.